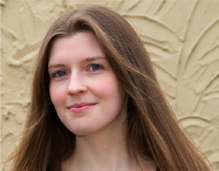 Ellie B. Hearne joins IDSA as a Visiting Fellow for summer 2011. She will complete a research project on counter-terrorism, specifically examining the suitability of 'de-radicalisation' and rehabilitation measures for inclusion in India's internal security apparatus. Prior to joining IDSA, she spent more than three years at the International Peace Institute (IPI) in New York, where she worked on the editing, production, and dissemination of all IPI books, policy reports, and related publications. She also maintained the think tank's library, and held a research portfolio on counter-terrorism issues. Before that, she worked as a Research Assistant in UNA-USA's Global Policy Program, also in New York, and at the Centre for the Study of Terrorism and Political Violence, in Scotland. She received her Master of Arts degree in International Relations, with first class honours, from the University of St Andrews in the UK, and completed her thesis, 'Terrorism, Justification, and Legitimacy: A Case Study of the Provisional IRA', in 2006. She has also studied at Washington College, in Maryland, USA. ‘The Irish Republican Army: From Myth to Mobilization – Irish Folklore and Myth as an Ideology of National Liberation’, International Studies Review, vol. 3 (2006): 83-100.